The leader of the Taliban has used a rare public statement to encourage Afghans to plant trees for the “benefit of almighty Allah's creations.” The group’s leader, Hibatullah Akhundzada, cited environmental, economic and cosmetic reasons for the tree plantation. Published in the Afghan Taliban Voice of Jihad website, the statement told Taliban fighters and civilians that "tree plantation plays an important role in environmental protection, economic development and beautification of earth." The statement appeared on the site usually reserved for criticizing the Afghan government and the US invasion of the country. “Plant one or several fruit or non-fruit trees for the beautification of Earth and the benefit of almighty Allah’s creations," Akhundzada, who became leader of the Taliban in May 2016, said. "Planting trees and agriculture are considered actions which hold both worldly good and benefit as well as immense rewards in the hereafter." Afghanistan experienced massive deforestation in recent decades, credited to conflict and the stockpiling of fuelwood caused by political uncertainty. Only 2 percent of the country’s area remains covered in forest, according to a report by the United Nations Environment Programme. A spokesman for Afghan President Ashraf Ghani dismissed the Taliban’s statement, saying it was an attempt to “deceive the public” and distract from their “crimes and destruction” reported the Independent. The statement from Akhundzada does not mention the planting of poppy plants, which the Taliban were suspected of taxing in areas they controlled, according to a report by the United States Institute of Peace. 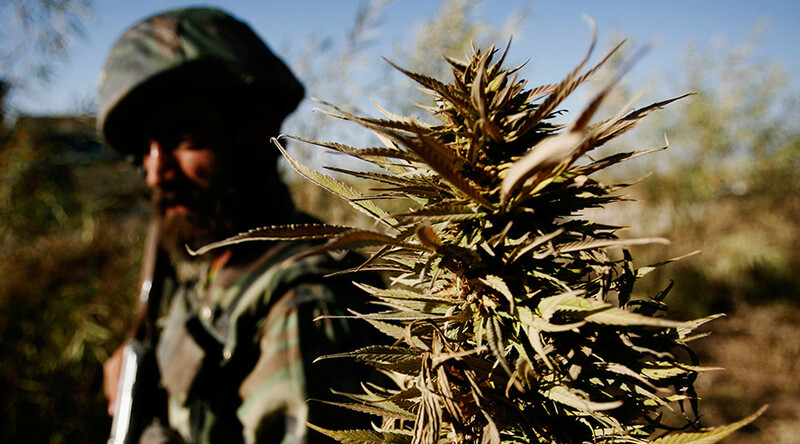 Afghanistan is the world’s largest producer of opium, with 2016 seeing a 10 percent increase in production according to the UN Office of Drugs and Crime.